The Town of Southbridge is a city in Worcester County, Massachusetts, United States. The population was 16,719 at the 2010 census. Southbridge is one of fourteen Massachusetts municipalities that have applied for, and been granted, city forms of government but wish to retain "The town of” in their official names. 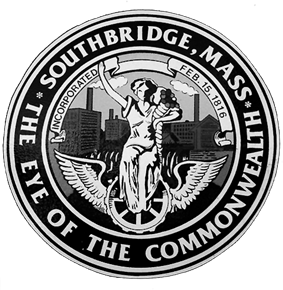 Southbridge has a long history of manufacturing optical products, earning it the unofficial title "Eye of the Commonwealth", in reference to the Commonwealth of Massachusetts. Under the Wells family, the American Optical Company ("AO") became the world's largest manufacturer of ophthalmic products, and at its height employed more than 6,000 people around the world. Many of its workers were exempted from the draft during World War II since they were doing vital defense work, including making Norden bombsights and even some work on the atomic bomb. By the early 1960s, the mill town had a movie theatre, an AM radio station (WESO), and an airport. New immigrants from Puerto Rico, Laos, and Vietnam began arriving in the 1970s and 1980s, and the town now has a significant Hispanic and Puerto Rican population. The American Optical Company shut down in 1984, and Southbridge is still struggling from the loss of these and other manufacturing jobs. According to the United States Census Bureau, the city has a total area of 20.9 square miles (54 km2), of which 20.4 square miles (53 km2) is land and 0.5 square miles (1.3 km2), or 2.40%, is water. Southbridge is drained by the Quinebaug River. The principal road in Southbridge is Route 131, known as Main Street through downtown and East Main Street past the "AO Rotary" and through Sandersdale, a village on the town's east side. North-south roads include Eastford Road and Elm Street (Route 198), and Worcester Street-Mechanic Street-North Woodstock Road (Route 169). 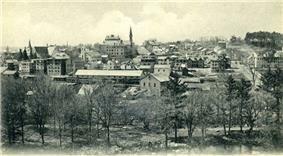 Southbridge was formed out of portions of three of its neighboring towns: Sturbridge to the west, Charlton to the north, and Dudley to the east. The other neighboring towns are Woodstock, Connecticut, and Eastford, Connecticut to the south. As of the census of 2010, there were 16,719 people, 7,077 households, and 4,522 families residing in the city. The population density was 858.9 people per square mile (326.4/km²). There were 7,511 housing units at an average density of 368.9 per square mile (142.4/km²). The racial makeup of the city was 81.2% White, 2.6% Black or African American, 0.5% Native American, 1.9% Asian, 0.0% Pacific Islander, and 2.9% from two or more races. Hispanic or Latino of any race were 26.6% of the population. There were 7,077 households out of which 31.1% had children under the age of 18 living with them, 43.6% were married couples living together, 15.5% had a female householder with no husband present, and 36.1% were non-families. 29.7% of all households were made up of individuals and 12.1% had someone living alone who was 65 years of age or older. The average household size was 2.41 and the average family size was 2.98. In the city the population was spread out with 25.4% under the age of 18, 8.6% from 18 to 24, 30.3% from 25 to 44, 20.7% from 45 to 64, and 15.1% who were 65 years of age or older. The median age was 36 years. For every 100 females there were 92.8 males. For every 100 females age 18 and over, there were 87.2 males. The median income for a household in the city was $33,913, and the median income for a family was $41,863. Males had a median income of $36,008 versus $25,685 for females. The per capita income for the city was $18,514. About 13.0% of families and 15.4% of the population were below the poverty line, including 25.8% of those under age 18 and 10.2% of those age 65 or over. 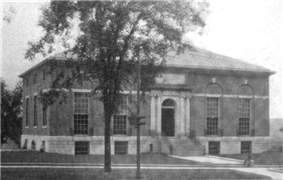 The Southbridge Public Library was founded in 1870. In fiscal year 2008, the town of Southbridge spent 1.03% ($426,025) of its budget on its public library—some $25 per person. 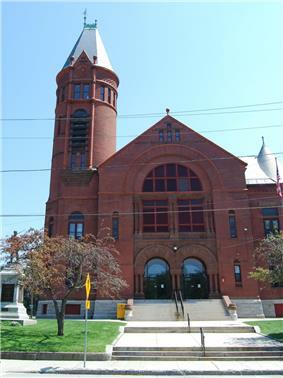 The Jacob Edwards Library is the public library for the town of Southbridge. It is a member of Central Massachusetts Regional Library System (CMRLS) and C/W MARS. Southbridge has three public elementary schools, formerly "neighborhood schools" serving grades K-5. Since the 1988-1989 school year, however, all kindergarten and 1st grade classes have been at Eastford Road School; all of grades 2-3 at Charlton Street School; and all of grades 4-5 at West Street School. Grades 6-8 are at Mary E. Wells Junior High School, the former high school building. Grades 9-12 are at Southbridge High School, which includes the old Cole Trade School building. Southbridge residents can also attend Bay Path Regional Vocational Technical High School in Charlton. In addition to the public schools, a parochial private school, Trinity Catholic Academy, serves pre-k through eighth grade. Southbridge is served by Southbridge Municipal Airport(3B0), a public owned airport managed through a contract with Jim's Flying Service. Runway 02/20 has a 3501 x 75 feet asphalt surface. ^ Seen in the official town seal. ^ Although it is called the "Town of Southbridge," it is a statutory city of Massachusetts. See Office of the Secretary of the Commonwealth.